Raleigh Finlayson is a Mining Engineer with over 15 years of technical and operational experience in the mining industry in multiple disciplines including both underground and open pit operations. Mr Finlayson commenced with Saracen Mineral Holdings as General Manager – Operations in February 2008 and managed the timely completion of the Definitive Feasibility Study and development of the Carosue Dam Operations in 2009. Mr Finlayson was appointed Chief Operating Officer in October 2009 and managed all operational aspects of the business until he was appointed Managing Director in April 2013. During his time as Managing Director, Mr Finlayson has been responsible for the acquisition and subsequent development of Saracen’s second operating mine, the Thunderbox Gold project. Mr Finlayson previously held positions of Underground Manager for Panoramic Resources and various Mining Engineering roles with OceanaGold and Gold Fields. 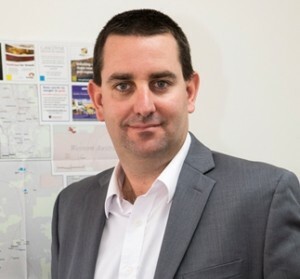 Mr Finlayson studied at the Western Australian School of Mines and is the holder of a First Class Mine Managers Certificate, a Graduate Certificate in Applied Finance and Investment, and is a member of the Australasian Institute of Mining and Metallurgy. With thanks to our sponsors..